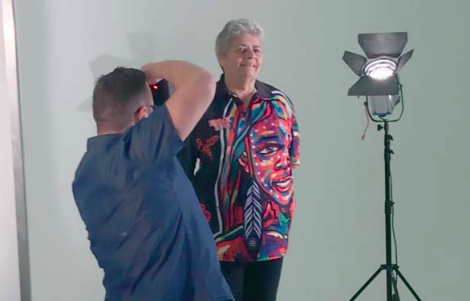 [Woy Woy] Mingaletta chairperson Aunty Dianne O’Brien has been selected to have her image projected onto the Majestic Clock Tower at the Grand Concourse at Central Station, Sydney, for Naidoc week. The 2018 Naidoc theme is “Because of her, we can!” The theme is intended to celebrate the invaluable contribution of Aboriginal and Torres Strait Islander women in communities, families, history and the nation. Aunty Di is one of a few who has been selected to have their image projected onto the clock tower. NSW Trains service development and support officer Mr Mark Champley said Auntie Di had been selected to “acknowledge her resilience, hard work and commitment to the community”. “Aunty Di has been the chairperson of Mingaletta for almost 10 years and an active community volunteer for over 40 years,” Mr Champley said.